151. Thanks for the amazing weather in the desert. I don't mind the triple digits but this last week the highs have been in the upper 80s and lows in the 60s and I am loving the break. Even though I find anything below 80 very chilly now that I am become more acclimated to the desert, it is fun to have the change and it reminds me of the Midwest falls. Yeah Fall! Hello Halloween Kitty. Love Hello Kitty - in all her different outfits. 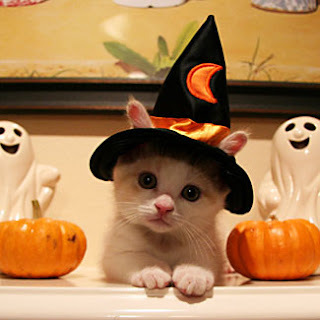 Witchy Kitty - such a cute and innocent face too! 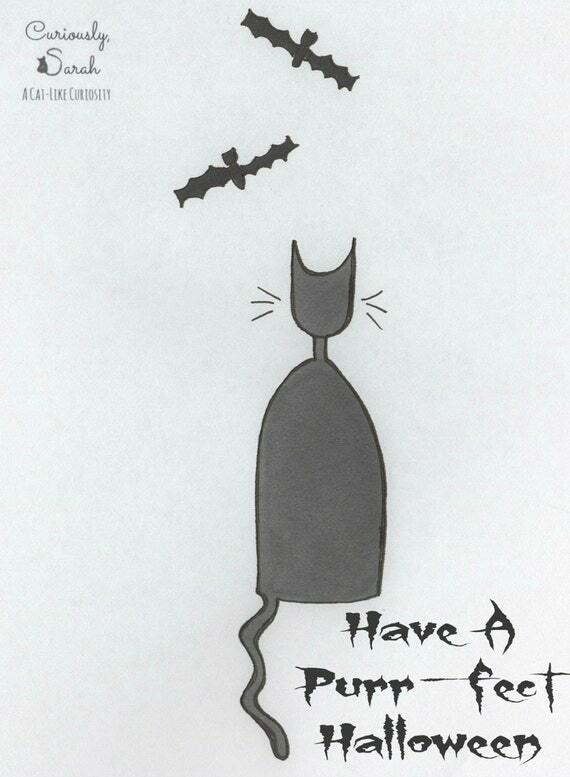 Cheshire Cat at Halloween - I love this silhouette kitty art! Freaky kitty - kinda defensive about Halloween!